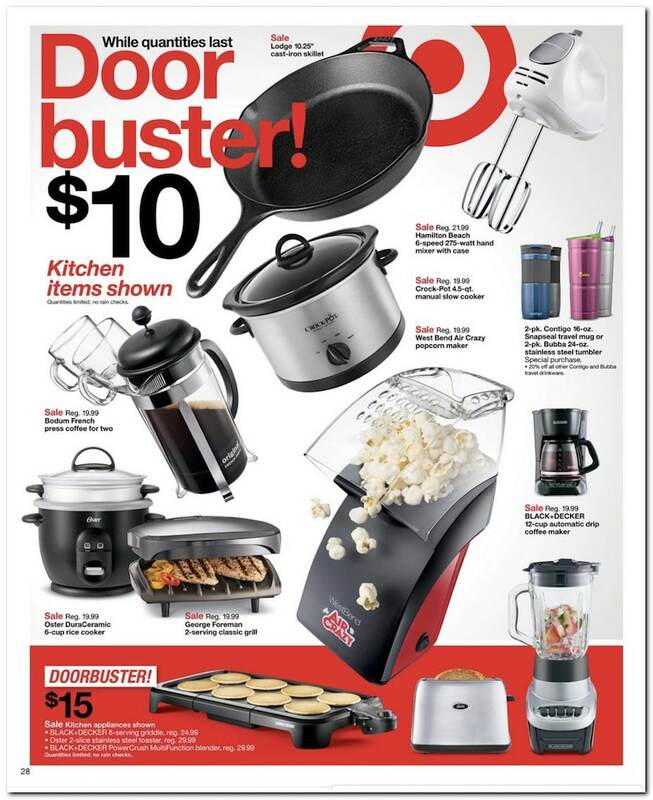 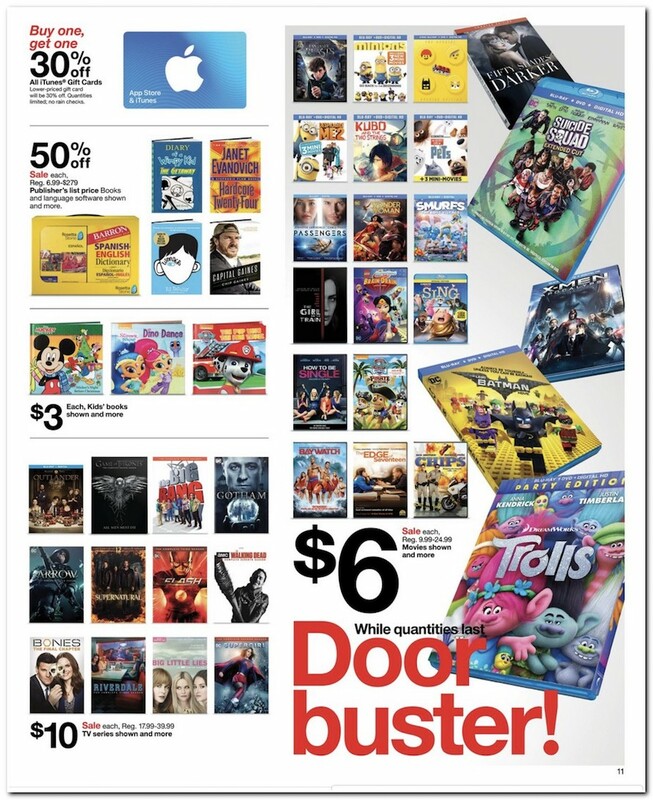 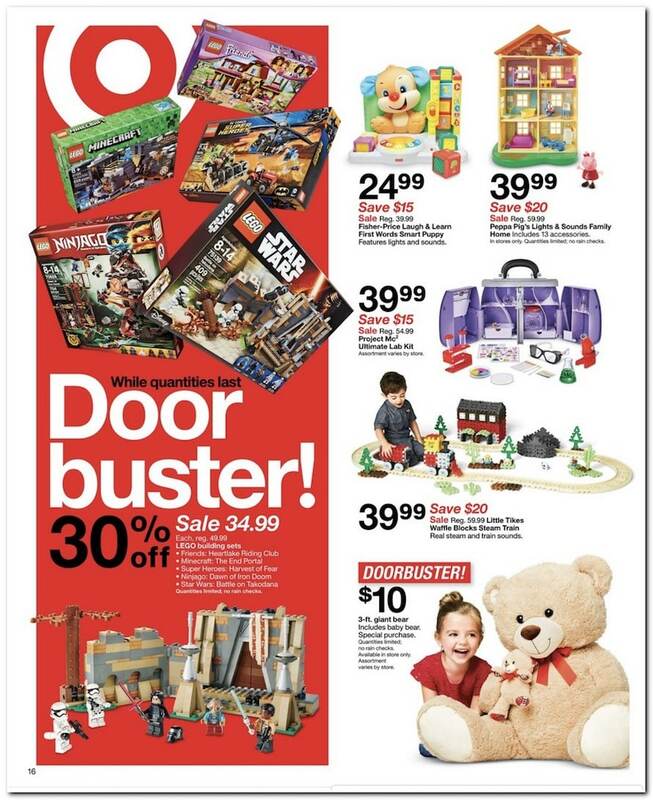 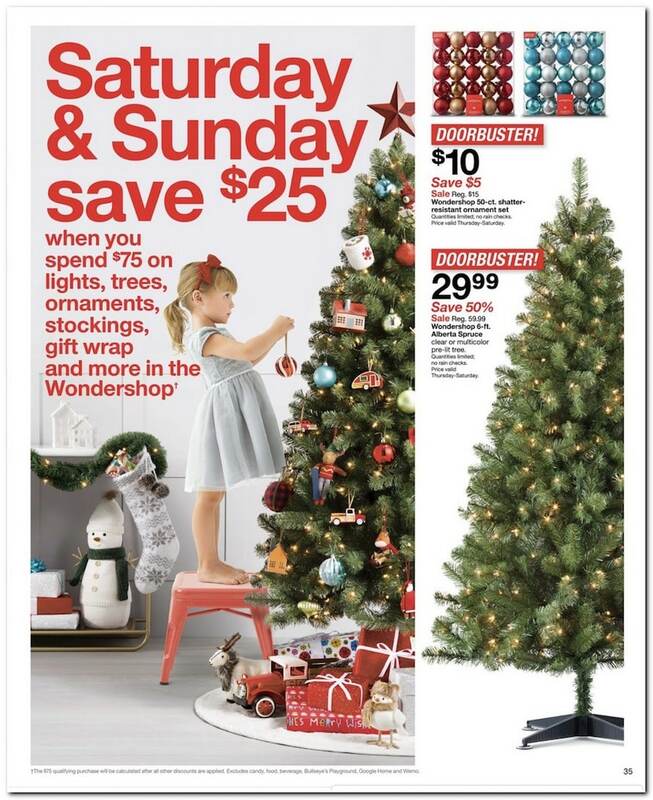 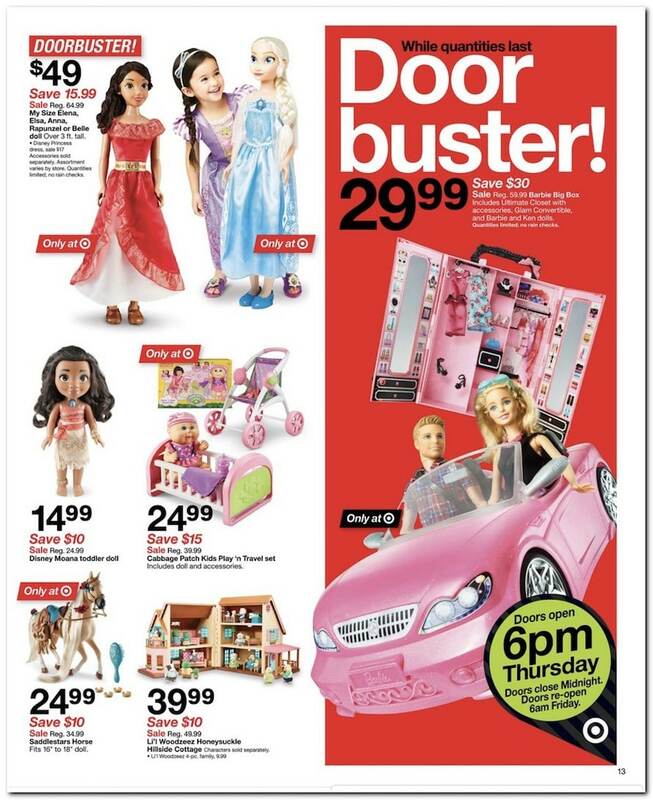 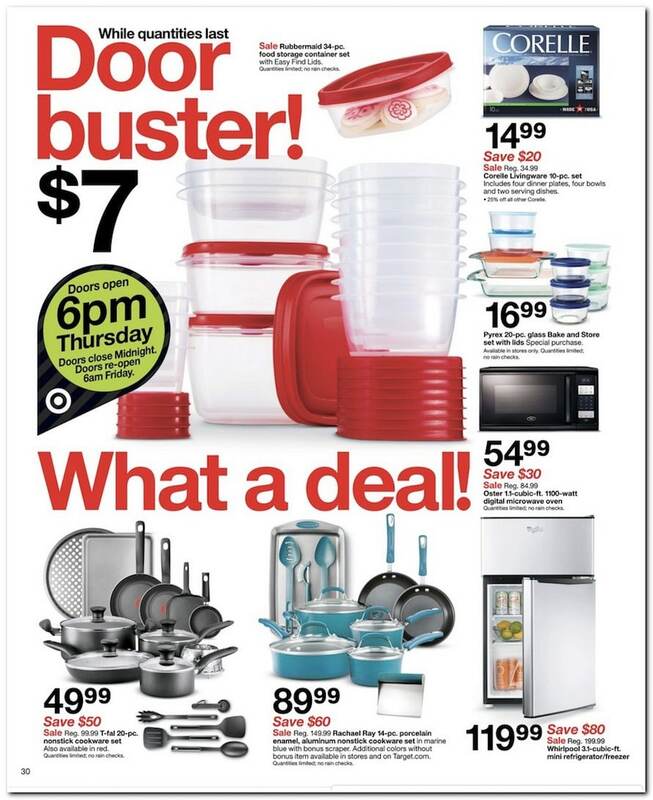 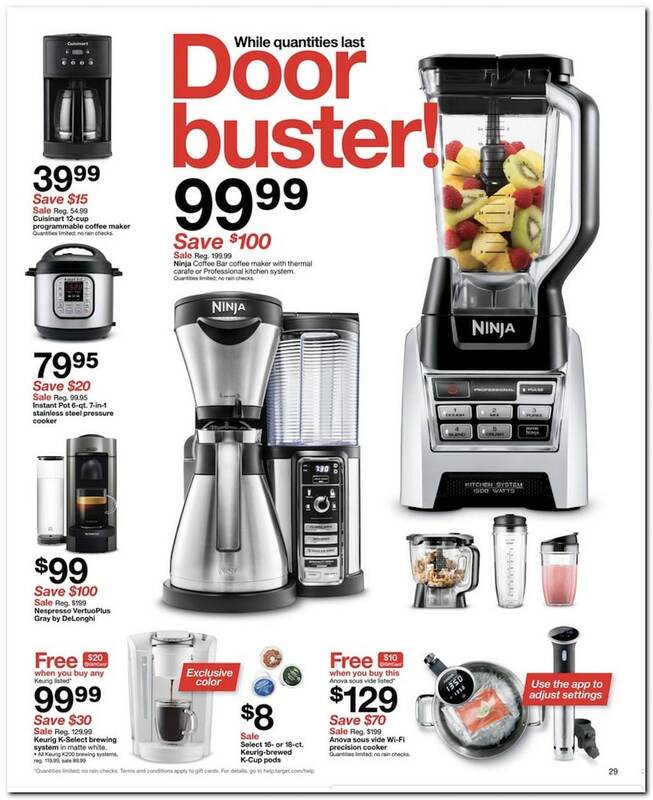 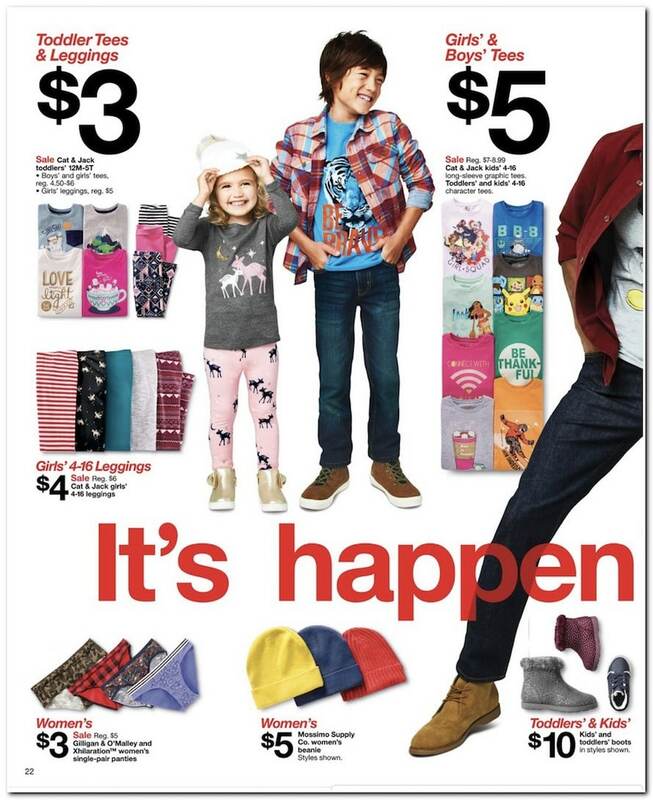 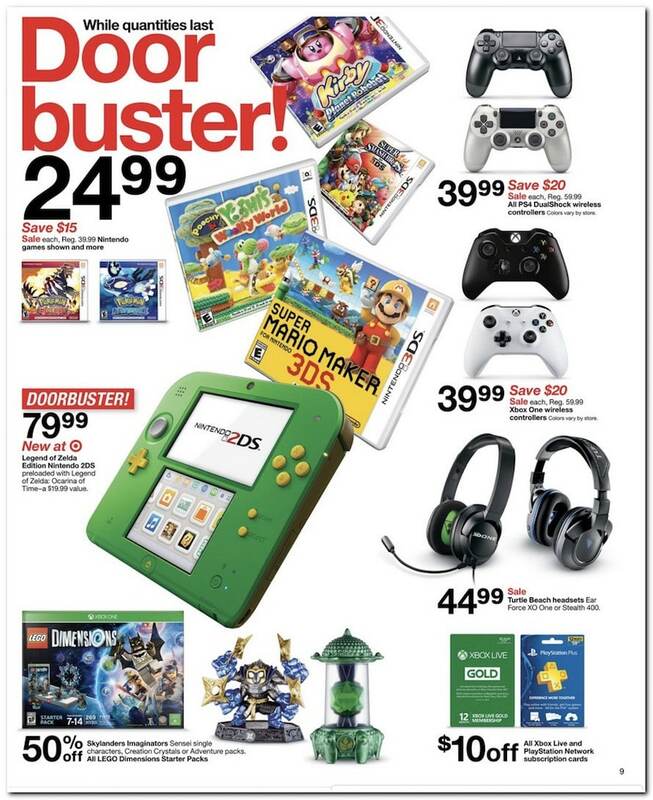 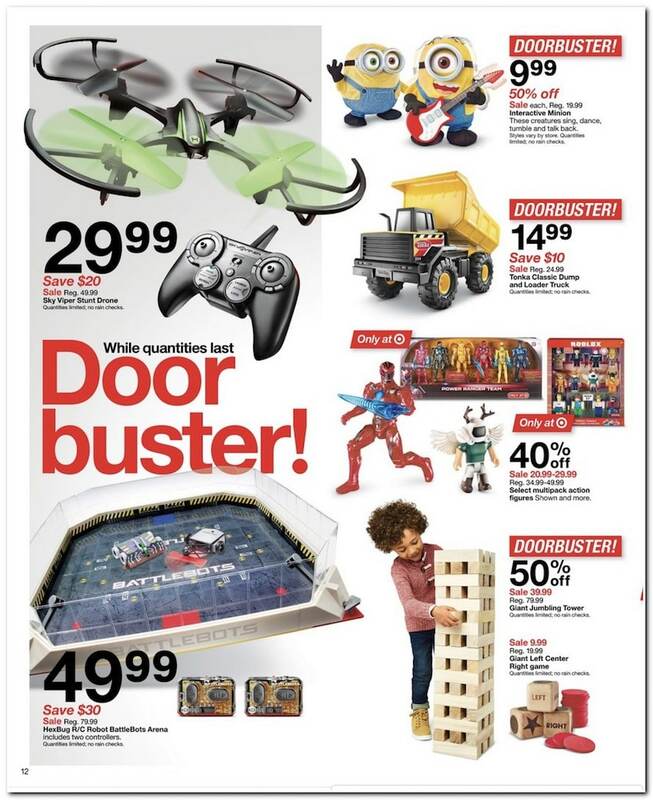 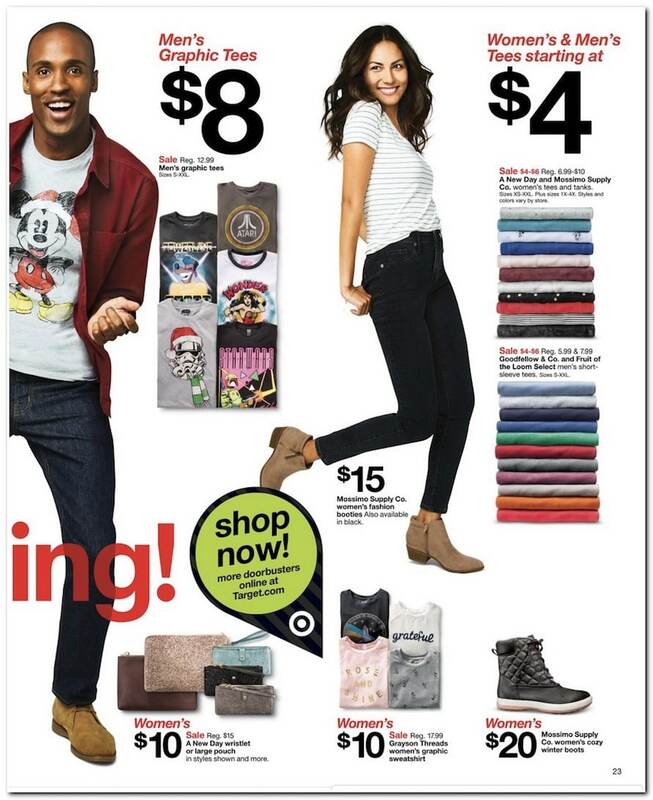 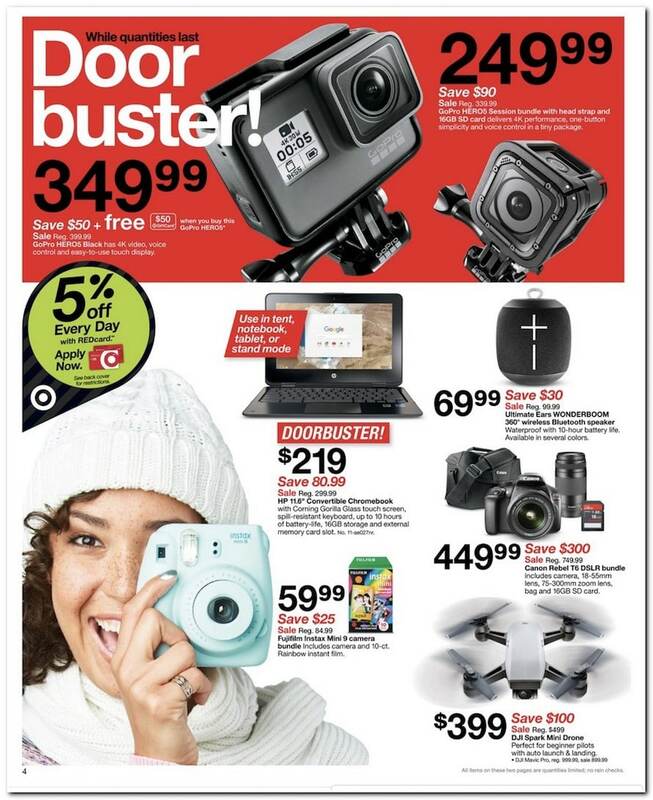 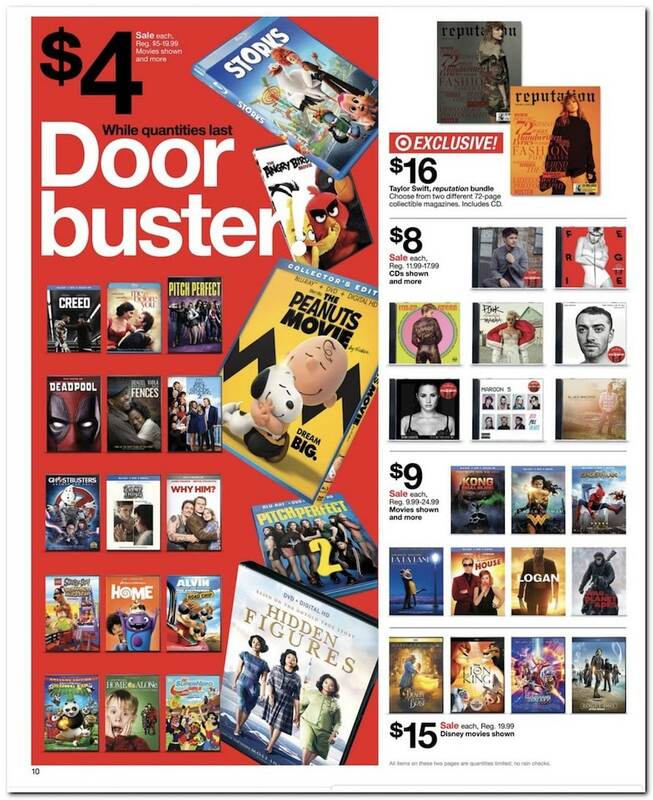 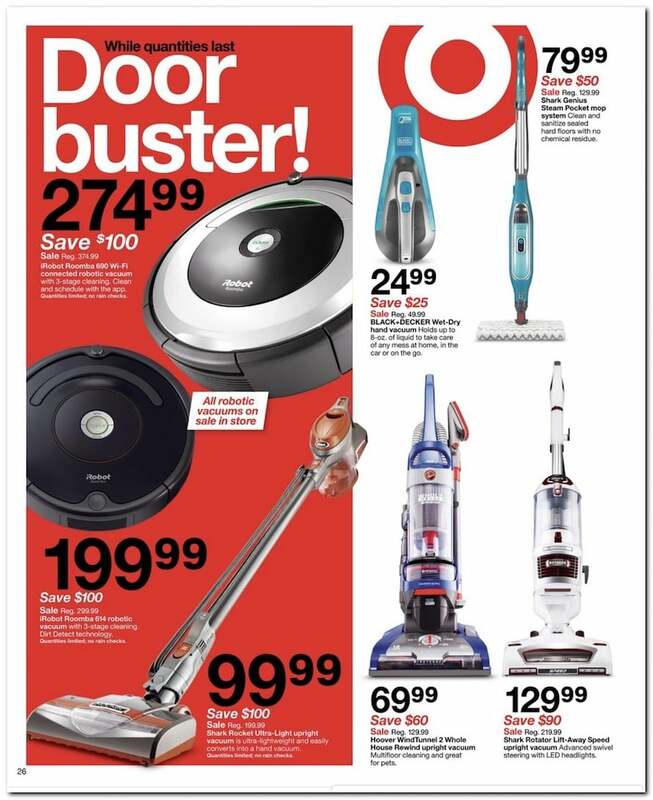 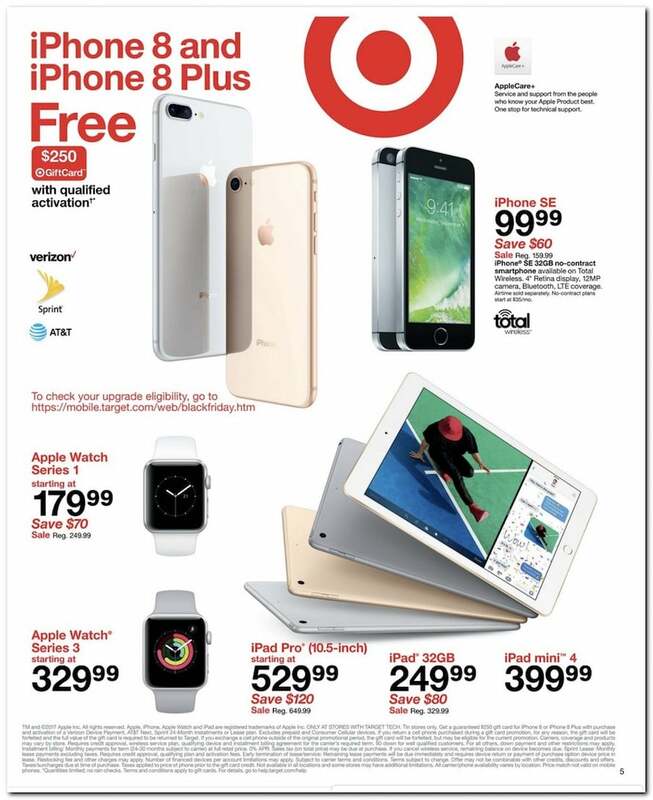 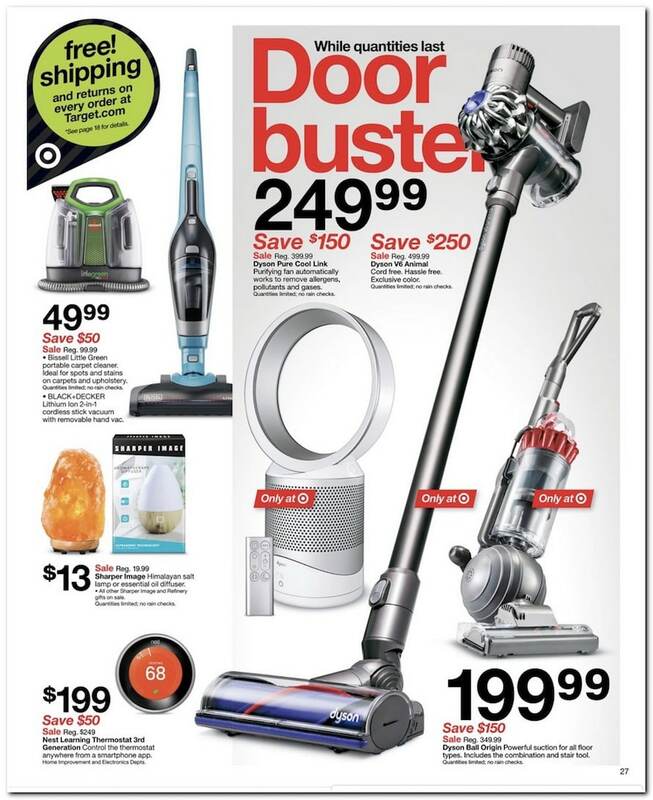 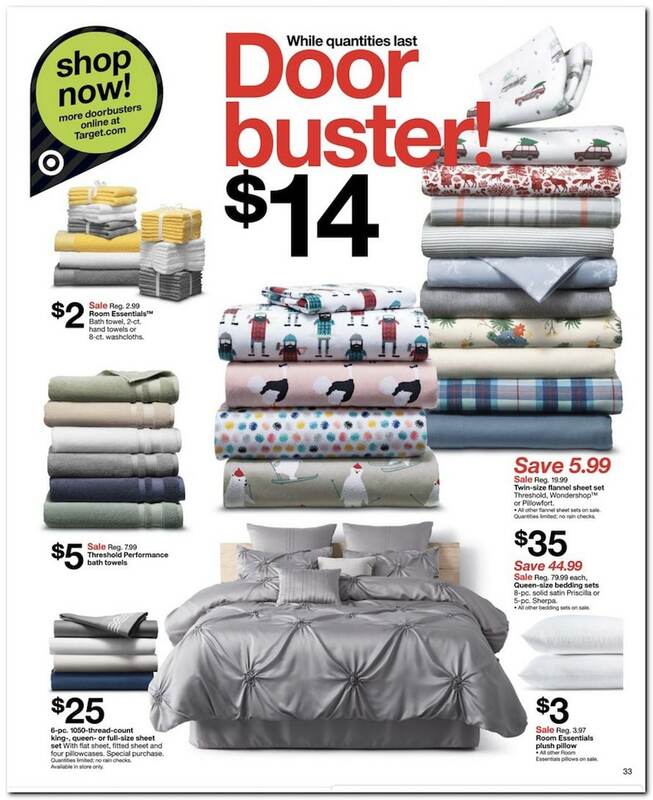 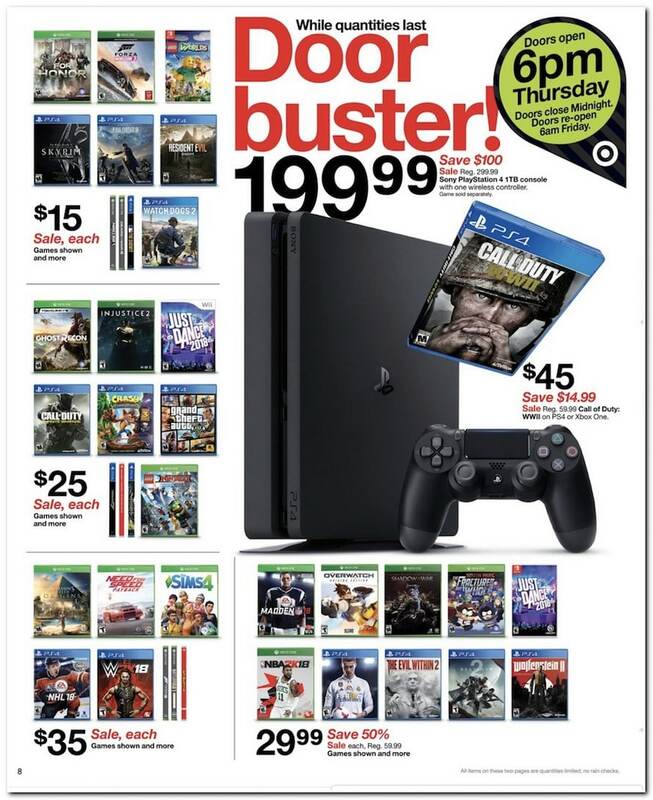 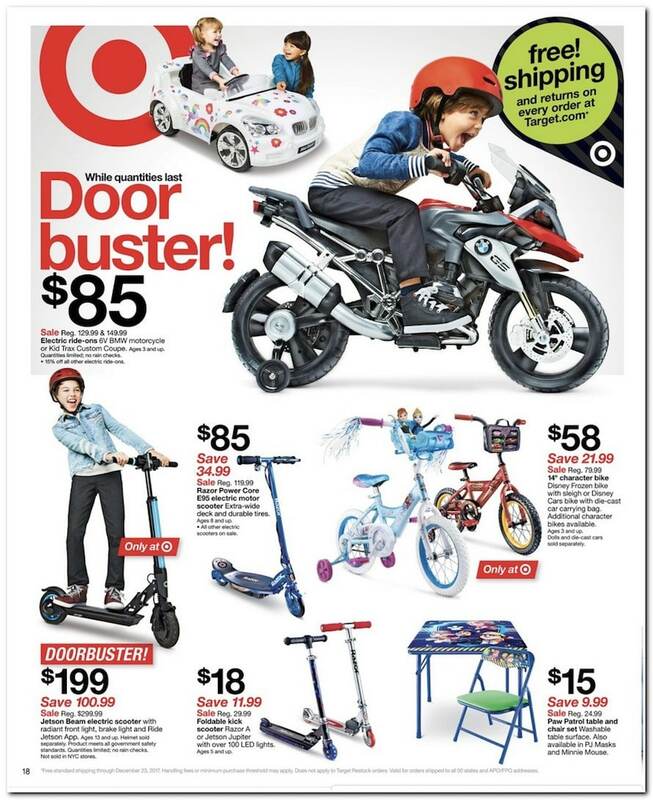 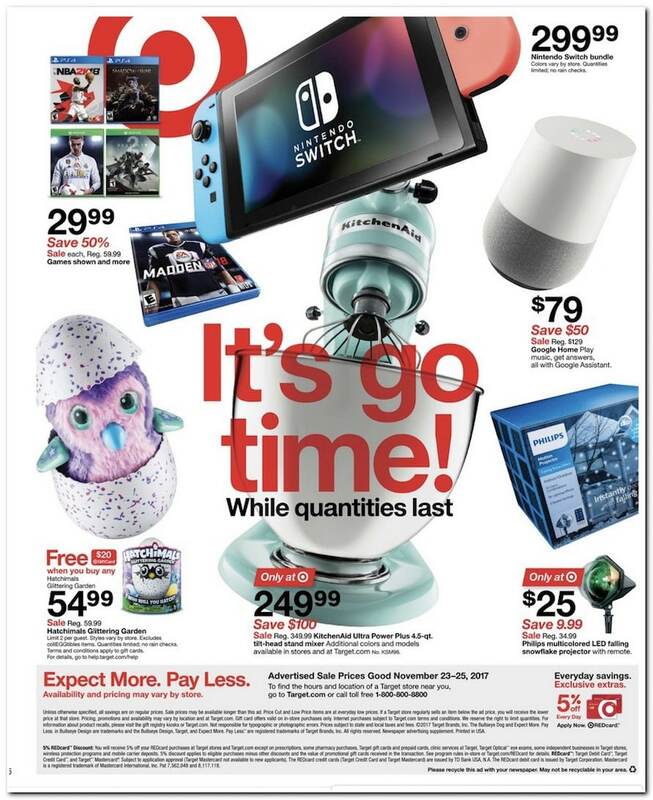 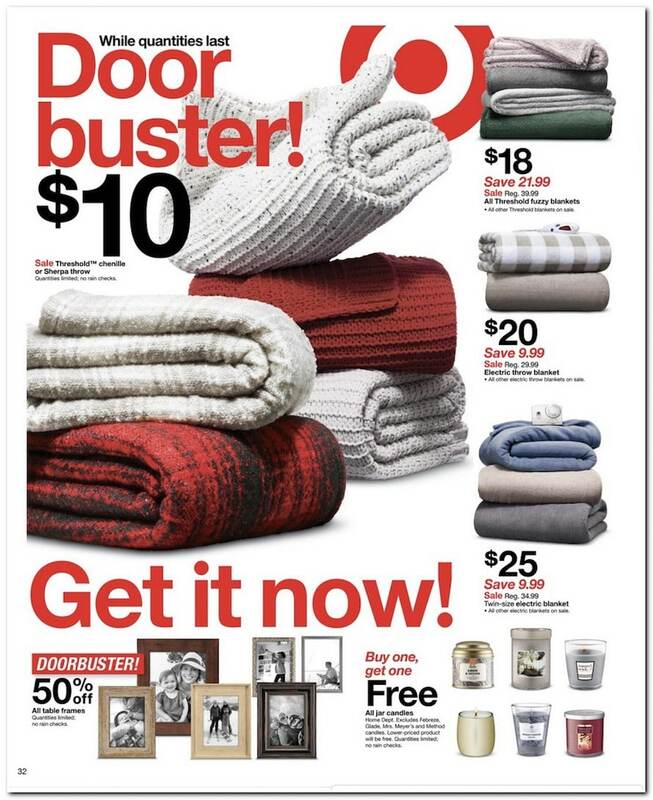 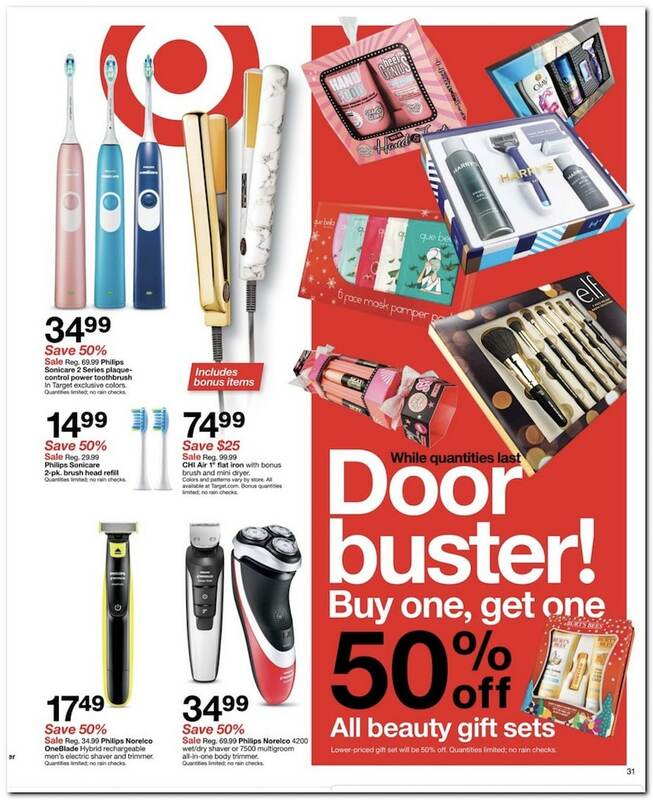 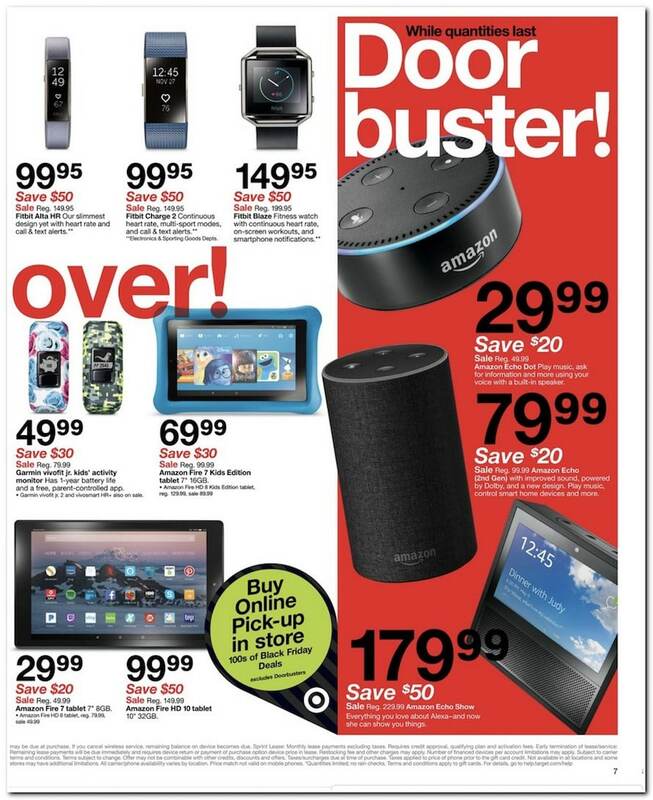 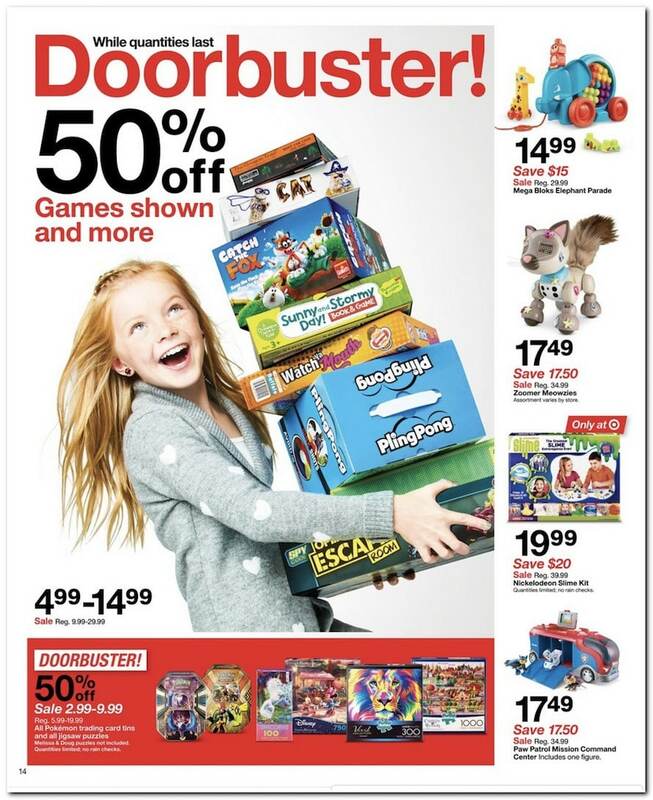 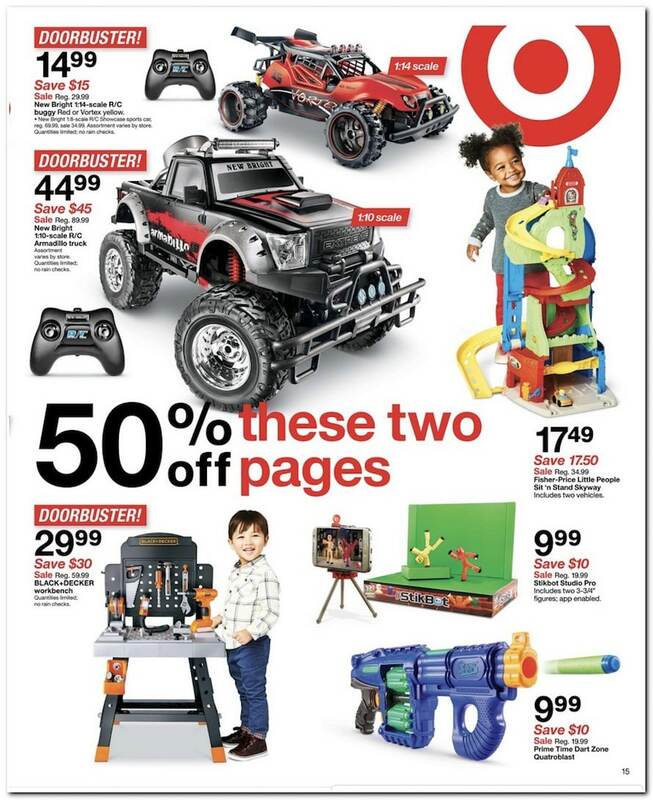 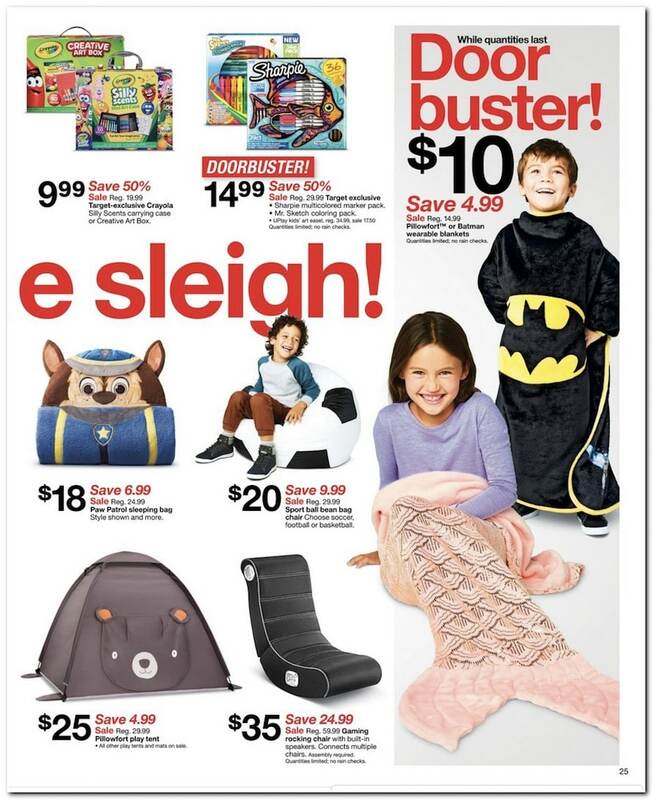 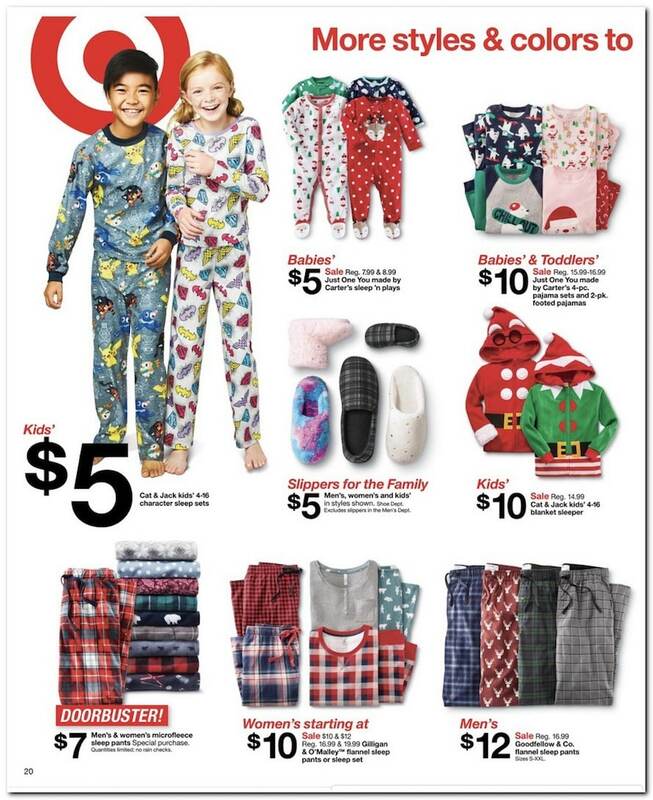 Find Target Black Friday 2017 Ad, deals available all weekend at Target.com – store doors open 6 p.m. Thursday and close midnight, then reopen 6 a.m. Friday. 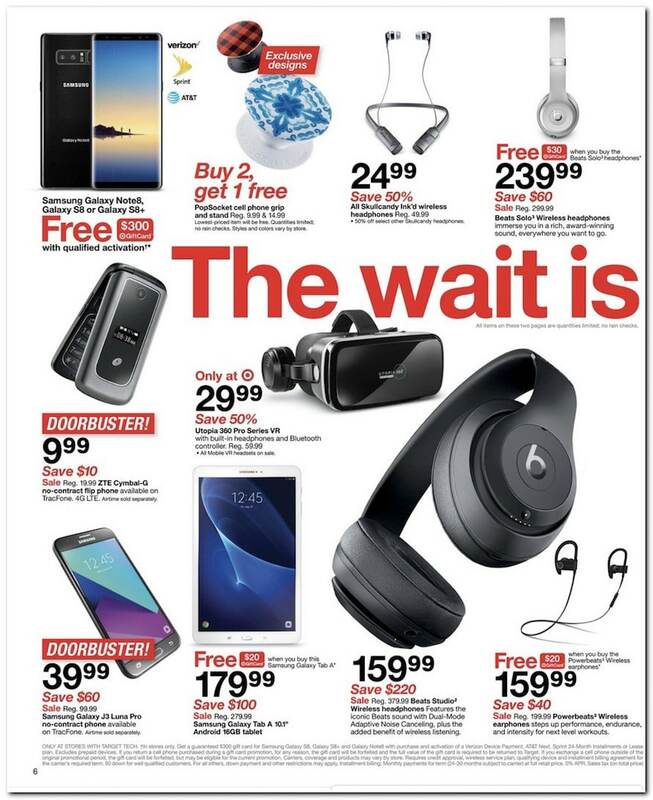 Also check Walmart Black Friday Sales, Kohl’s Black Friday Deals. 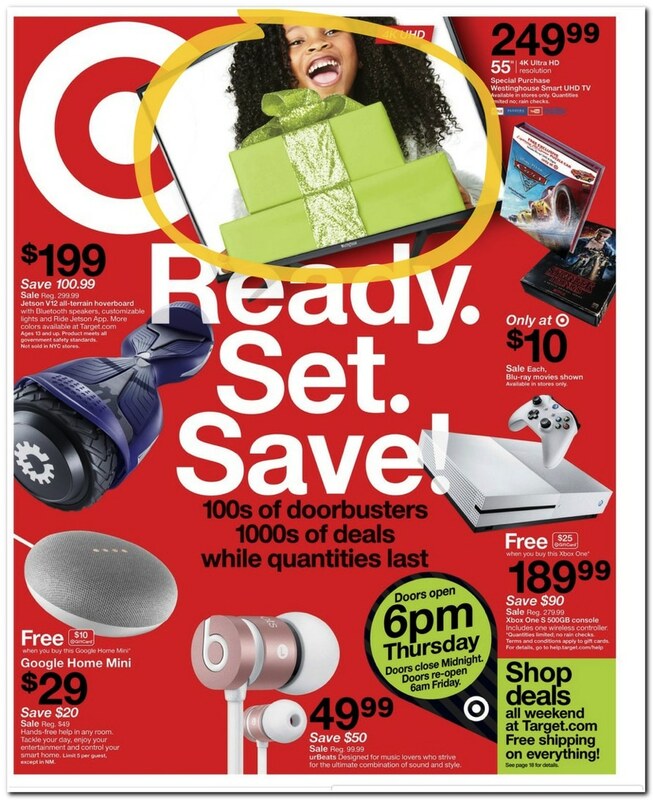 Save with this year Target Black Friday deals on urBeats, Xbox One S 500GB w/ $25 Gift Card, Google Home Mini w/ $10 Target Gift Card, 4K Ultra HD Resolution Motion Rate 120, Google Chromecast, TCL Roku TV with Ultra HD Resolution, JBL Charge 3 Waterproof Bluetooth Speaker with 20-hour Battery Life, Amazon Fire TV Stick with Alexa Voice Remote and a lot more. 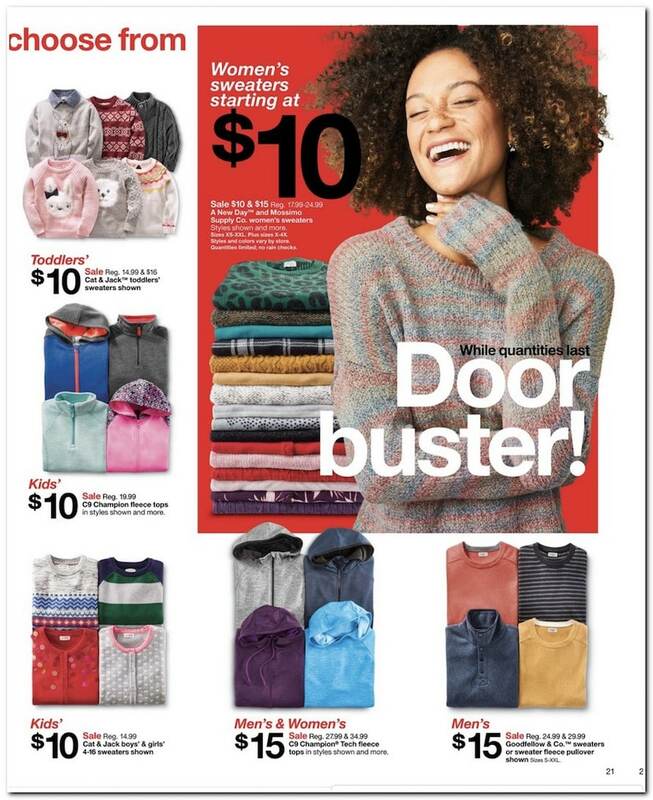 Shop online and receive free shipping for any order, plus spend $50 or more storewide and get 20% off one shopping trip between Nov. 26 and Dec. 10. 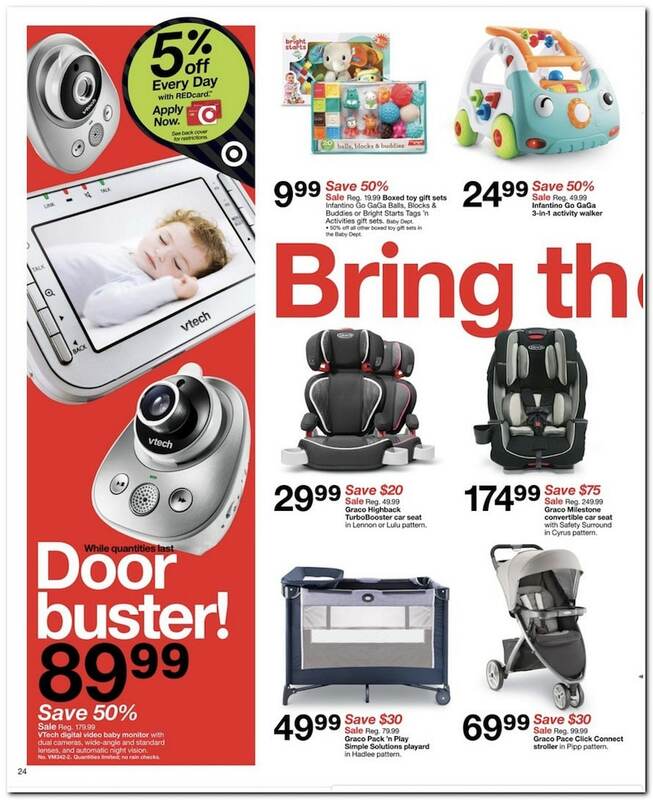 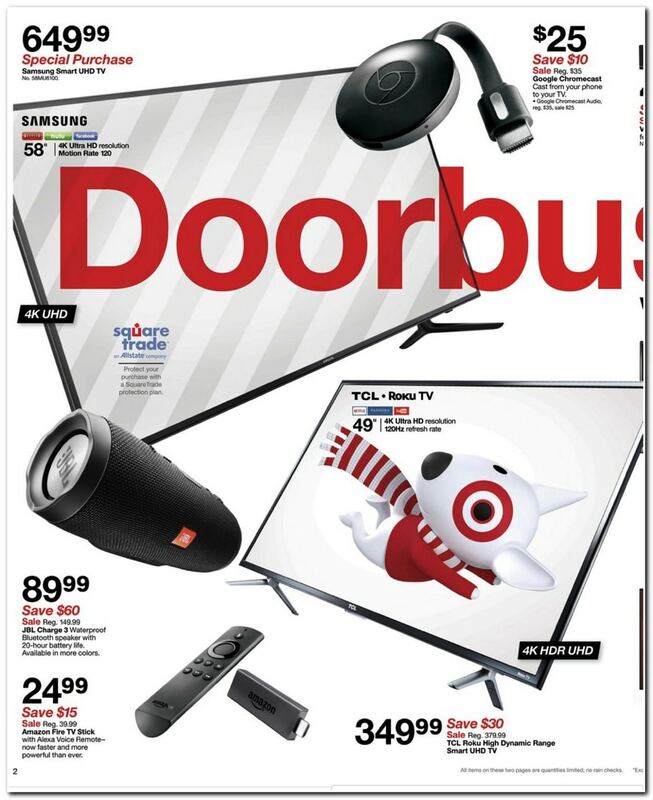 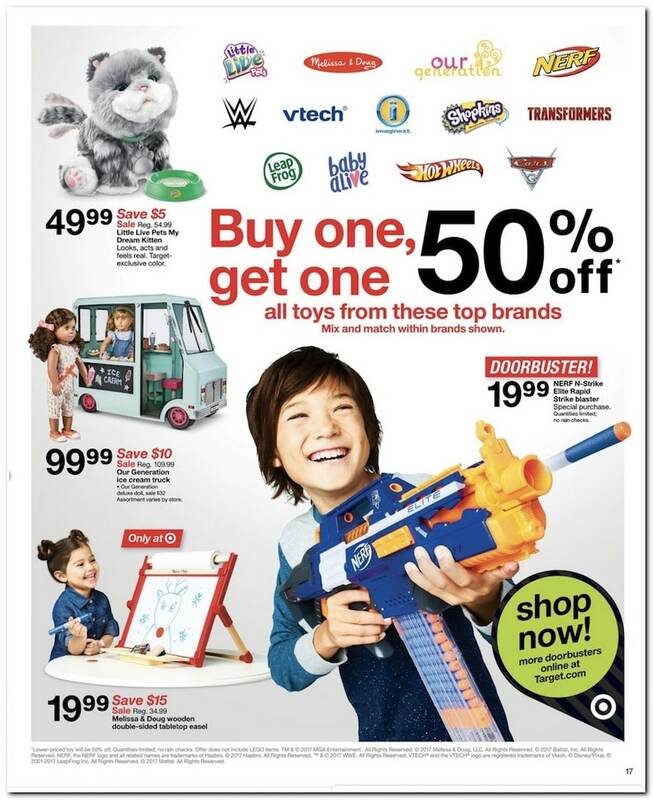 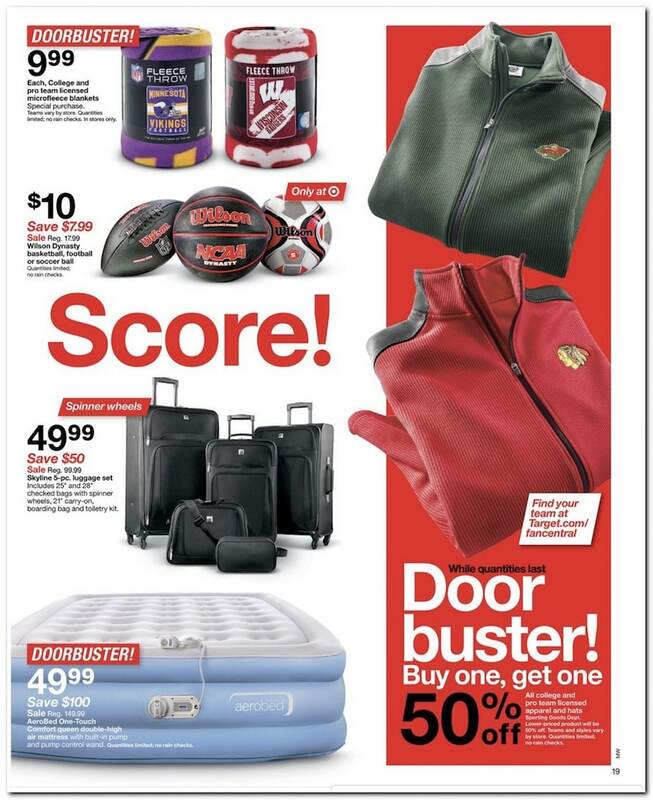 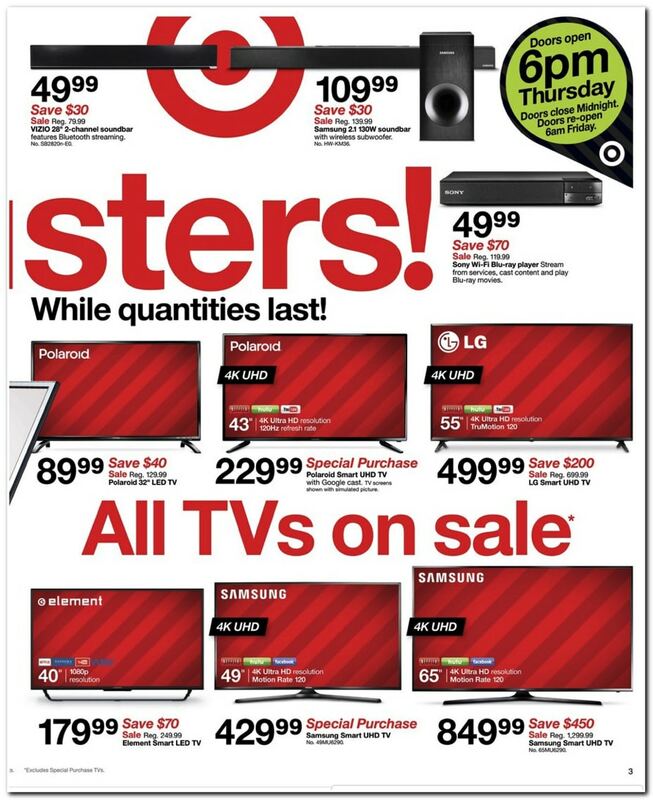 Don’t miss the latest Target Ad with amazing deals and offers for this week and 4K UHD sales. 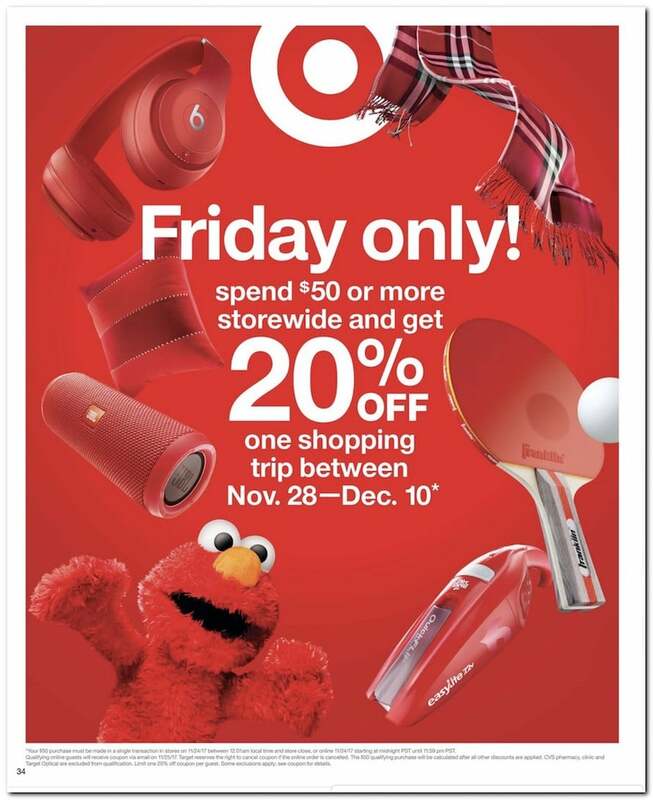 Don’t forget to check this year Target Black Friday deals before heading out to shop.